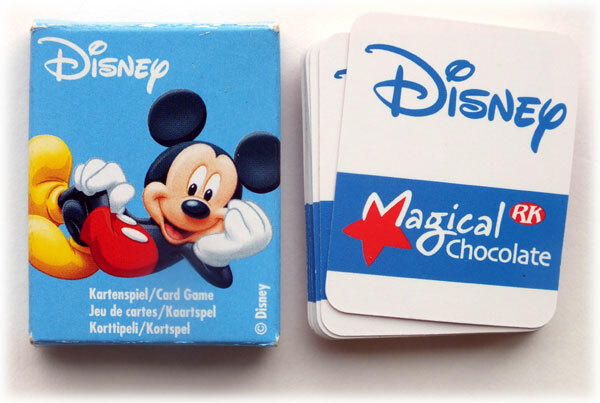 Above: miniature Disney Mickey Mouse playing cards published as part of a promotion by Rübezahl Schokoladen GmbH, © Disney. 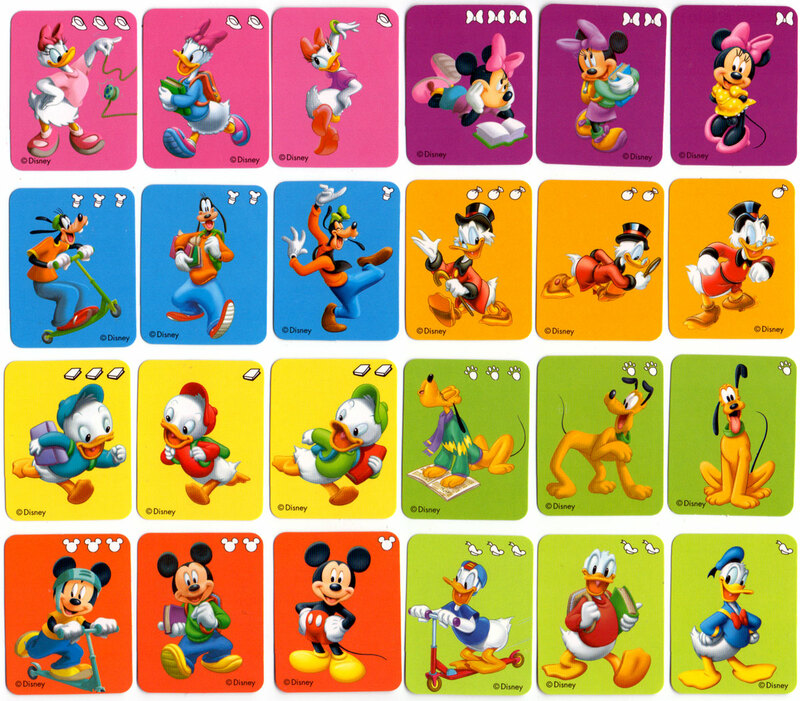 24 cards + 3 rules cards in different languages inside miniature tuck box. 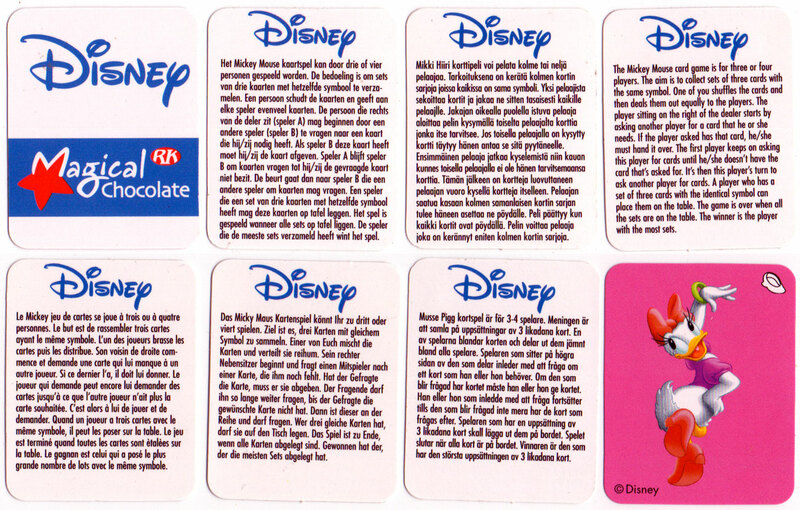 The card backs have an advert for Rübezahl Magical Chocolate.